Features 2 zip compartments, adjustable custom printed strap, and Reason molded gold tag. Canvas backpack with faux leather trim. 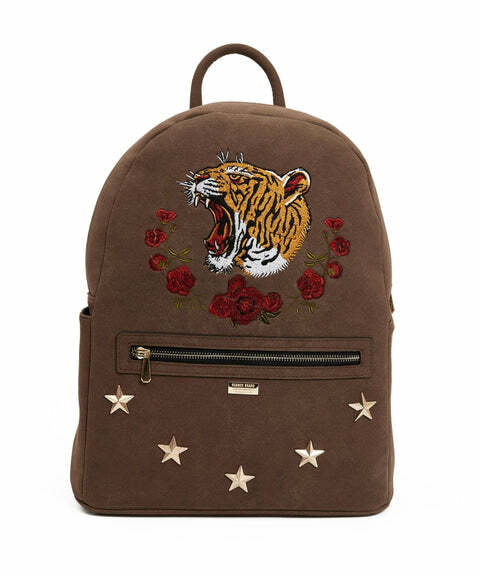 Features embroidery logo patches, top zip closure, zip front pocket, and molded gold tag. Flannel backpack with faux leather trim. Features adjustable shoulder straps, top zip closure, and exterior zip pocket. 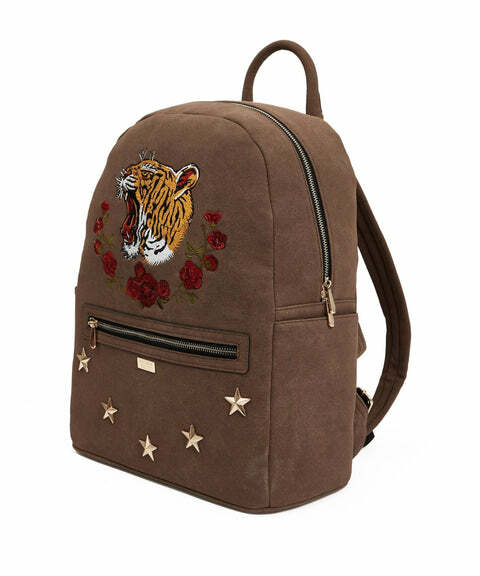 Faux sueded backpack. Features embroidery logos, adjustable shoulder straps, top zip closure, and exterior zip pocket.